Classical music is renowned for monkey suits, pomp and ceremony, and a predilection for extinct Europeans. Not so at the APO. 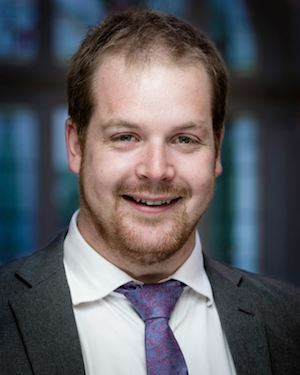 Meet Tom Hamill, a music teacher from South Bristol, where he won the gong for best school music department in 2016, largely by making music a big part of local culture. Now, he’s got a new problem. As head of APO Connecting, he’s charged with the task of getting music to the Auckland masses. Renee Liang asked him how it's going. Ultimately our success is defined by growth. We’re proud of being a heritage art form, but we need to be nimble and stay relevant across this diverse city; for me this is what makes my role in the organisation so exciting and unique. This year for example, we have a new series designed to build our links to the Chinese community: APO Up Close. These are chamber music events designed in partnership with our Associate Principal Second Violin James Jin. In an hour-long concert James discusses the piece in both Mandarin and English, before delivering a rousing performance. We hope that having learned how they make sound, that some kids will be inspired to pick up a trombone, viola, oboe, bassoon, or even a pair of drumsticks. Also, our work in Maori and Pasifika communities continues to grow. For the first time last year we produced a music education resource designed specifically for Kura Kaupapa Māori. We wanted to engage better in this community, and recognise the biculturalism that is rightly at the forefront of much of Auckland’s cultural practice. How do you select and plan the APO 4 Kids programs? What do you hope to achieve? We make these concerts engaging, fun, and educational. They give some young people close encounters with instruments they might not otherwise see or hear, and we hope that having learned how they make sound, that some kids will be inspired to pick up a trombone, viola, oboe, bassoon, or even a pair of drumsticks. Planning for all Connecting events takes place almost two years out. We are currently deep into 2019 and looking ahead to 2020! APO 4 Kids falls very much into this cycle and the challenge is trying to pick a theme that will be engaging for young people so far in the future. Timeless classics like our recent Old MacDonald and Christmas show featuring Slinky Malinki always go well for our young concertgoers. Tell me about the APOPS program. How do you select the schools and what is the process of tailoring a programme for them? The APO is very proud of this programme. 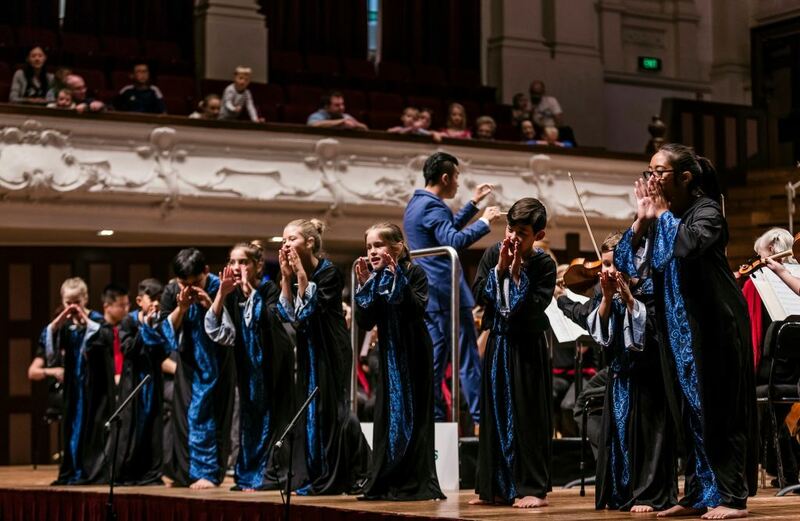 Before coming to work in Auckland with the APO I had not come across a programme that delivered such extensive engagement from the orchestral musicians across such a huge geographical area. Schools can have combinations of mentoring, ensemble visits, sectionals and composition workshops, and each one is unique. There are some significant logistical challenges to this, not least of which is dovetailing with a busy orchestra schedule. But we put considerable time into ensuring we not only meet our obligations, but that it really works for the schools we’re in. APOPS is sponsored by the Four Winds Foundation to whom we are very grateful. Their support enables a really great programme. You're including a lot more crossover with contemporary music and artists in the APO programme. What is the thinking behind that? We like to provide pathways for people of all ages to get involved and interested in orchestral music. Our concerts with contemporary music and artists are just one of the ways we can reach out to people who might not otherwise consider a live symphony orchestra, and for those who already enjoy orchestral music it’s a way to experience the APO in a new, non-traditional format. Some people assume that orchestral music is for older generations but we firmly believe that it can speak to people of all ages! Our Voice gives a full orchestral workshops to pieces by four composition students. Loaded question: if a local writer or composer wanted to work with the APO what avenues would you suggest? In fact there are numerous avenues. This year we have appointed two Communities Composers to help us support music writing across Tāmaki Makaurau. We have recently welcomed Dr Charles Royal, of Marutūahu Ngāti Raukawa and Ngā Puhi, to our two-year residency position: APO Te Arapūoru Community Commission; Ryan Youens for a two-year tenure as our Community Composer: Kaitito Pāpori. Aside from these formal positions, we have a plethora of ways for composers to get in touch with us. Our Secondary Schools Composition Competition runs annually from March to June in our Inspire programme. University students should talk to their departments about Our Voice, which gives a full orchestral workshops to pieces by four composition students. Finally, I’d say just get in touch. Composers in the community should let us know the ideas they have about possible works. No idea seems too strange or crazy and if we can find a way to make a dream a reality we will strive to do this. E-mail connecting@apo.co.nz and we will we see how best we can support. As part of their Connecting programme of work, the APO performs The Gruffalo in two performance on Saturday 21 July. Renee Liang is one of four producers leading the adaptation of Eugene Ionesco's The Chairs runs at Te Pou Theatre, New Lynn, in four separate languages by four separate producers, until 4 August.